Sometimes I think “How can I stop my child from using screens too much?” Instead of just thinking about what I don't want my children to do (use screens too much), I want to focus on what I do want my children to do (live God’s Word). I want my children to seek peace and pursue it. Sometimes technology can get in the way of peace and tranquility. Games and social media have an addictive quality. Screens provide distractions with notifications going off and providing the possibility of always something new to look at. Also, the content on our screens can be dark and unsettling. What can I do to help my child seek peace and pursue it in an age of technology? Peace and tranquility are important to God. As a family, we can make peace and tranquility a priority. It takes effort and thought to be peaceful. With peace as a goal, my husband and I can make decisions of how much technology our children use, and what content they view. "And these words that I command you today shall be on your heart. You shall teach them diligently to your children, and shall talk of them when you sit in your house, and when you walk by the way, and when you lie down, and when you rise." To teach my children how to seek peace and pursue it, I need to be seeking peace and pursing it. As I have God’s word in my heart, then I will be able to teach my child throughout the day how to seek to be peaceful. How we live our lives with technology teaches our children more than just telling them what they should do. 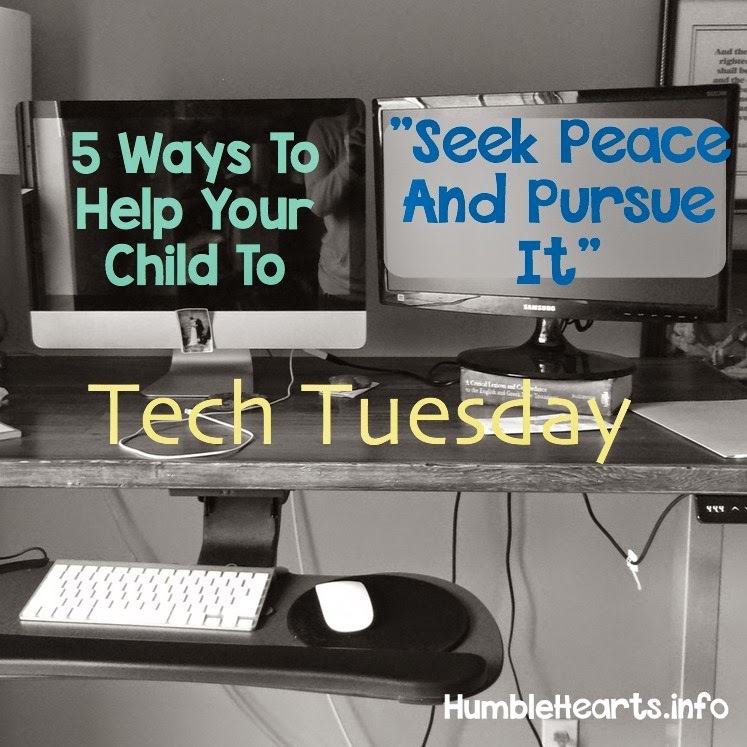 When appropriate, we can share with our child how we make decisions about technology based on trying to seek peace and tranquility. I have found it helpful to regularly check in with myself about my technology use. Do I have addictive habits starting to form? Recently I find myself checking social media on my phone anytime I have a moment with nothing immediate to do. Now I'm working to stop myself when I reach for my phone. Is technology distracting me and taking away from my peace? Getting notifications throughout the day from a goal setting app started to take away from the tranquility of my day. So I deleted that app, and worked on reminding myself of my goals in other ways. Is the content I’m viewing taking away from my tranquility? I had to change my weather app, because it kept having disturbing headlines pop up when I was checking the weather report. "Do not be anxious [distracted] about anything, but in everything, by prayer and prayer request with thanksgiving, let your petitions be made known to God, and the peace of God, which is more excellent than every way of thinking, will protect your hearts and your thinking in Christ Jesus." In our culture there seems to be a push for “in everything” use technology. We want to live “in everything, by prayer”. Make moments throughout the day for praying to God. As we go to God in prayer, we can have the peace of God protect our hearts and our thinking. Wow! That is so wonderful! Instead of just saying, “Lets limit screen time” for ourselves and our children, we can say “Pray always”. If screen time is getting in the way of our prayer time, then we need to limit screen time. Henceforth, brothers, whatever things are true, whatever things are honorable, whatever things are just, whatever things are pure, whatever things are lovely, whatever things are of good report (if there is any virtue and if there is any praise), consider these things,which you also learned and received and heard and saw in me. Practice these things, and the God of peace will be with you. We can teach our children how to choose what they look on screens. If content is taking away from you or your child's tranquility, don’t look at it. Do word studies on word "peace". As you have a goal as a family to "seek peace and pursue it", you can grow in learning what the Bible says about peace. You may find BibleGT and Blue Letter Bible helpful in doing a word study. 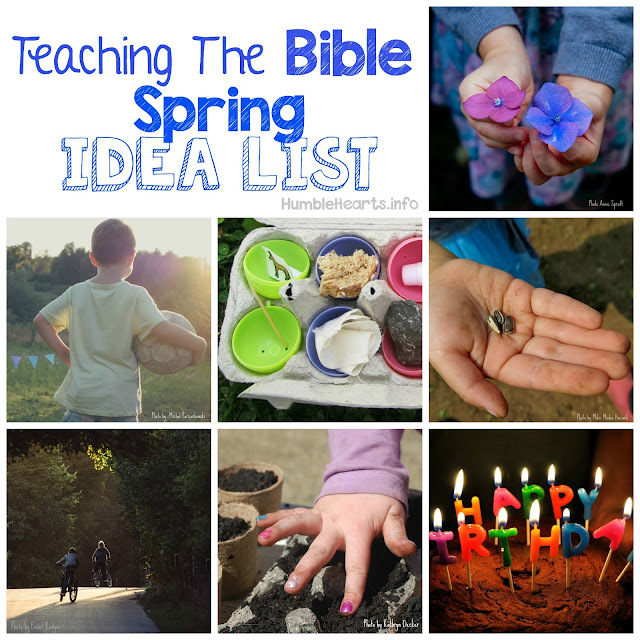 No matter the age, baby through teenager, I can help my children learn to seek peace by going to God. 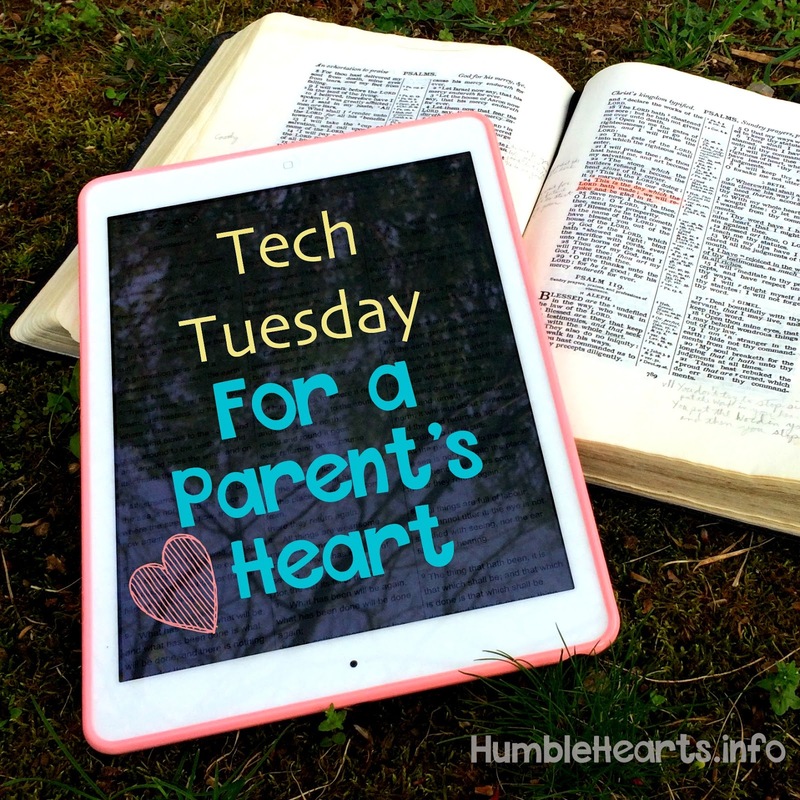 I want to help my children take their anxieties and cares to God instead of to just distracting them away with technology. As my children grow into adulthood, they will know how to seek peace and pursue it no matter what technology might be used in the future. How Do I Prepare My Child For A Future Filled With Technology? If you found this blog post helpful, sign up for my quarterly newsletter to keep up with future posts. *Working Translation: A Journey Through Acts and Epistles, Copyright © 2006 by Walter J. Cummins. All rights reserved.